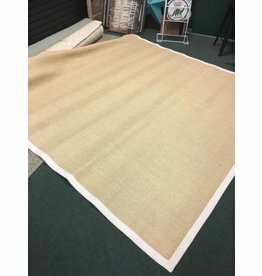 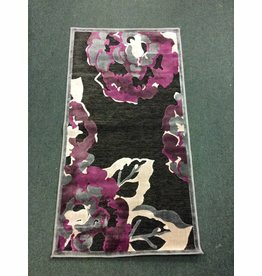 Brand new, large indoor/outdoor area rug made with quality by Couristan. 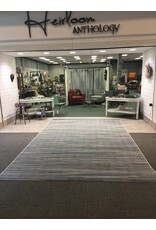 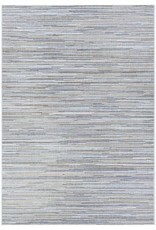 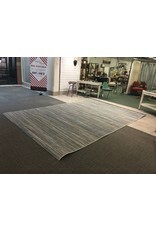 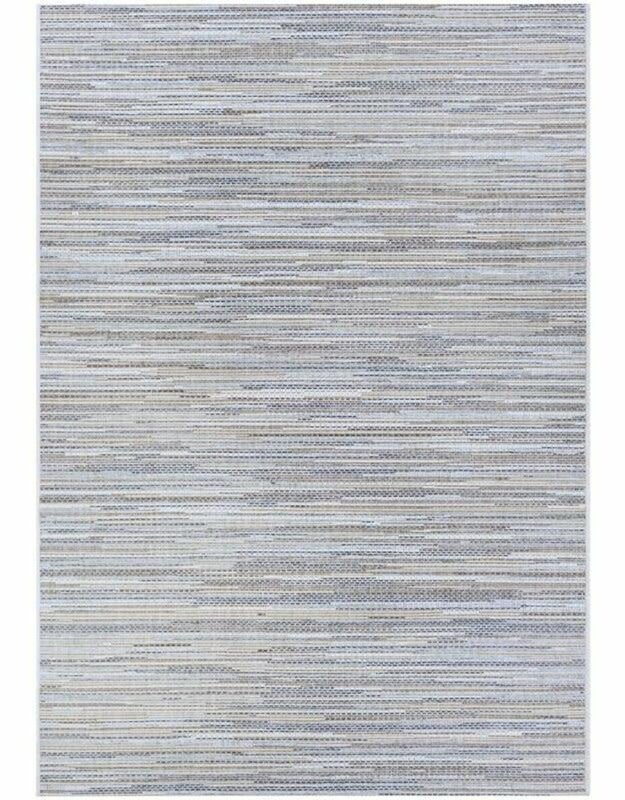 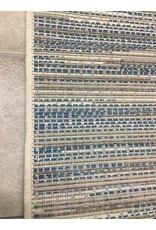 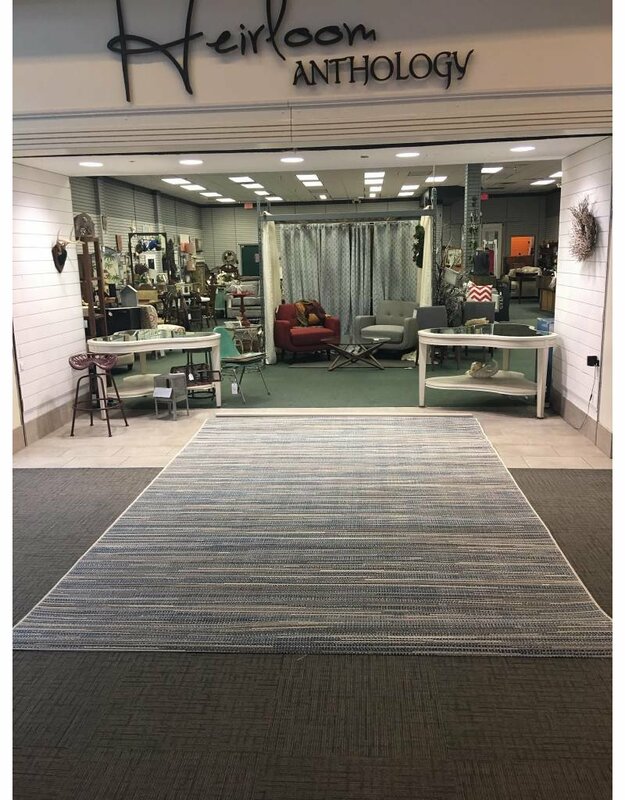 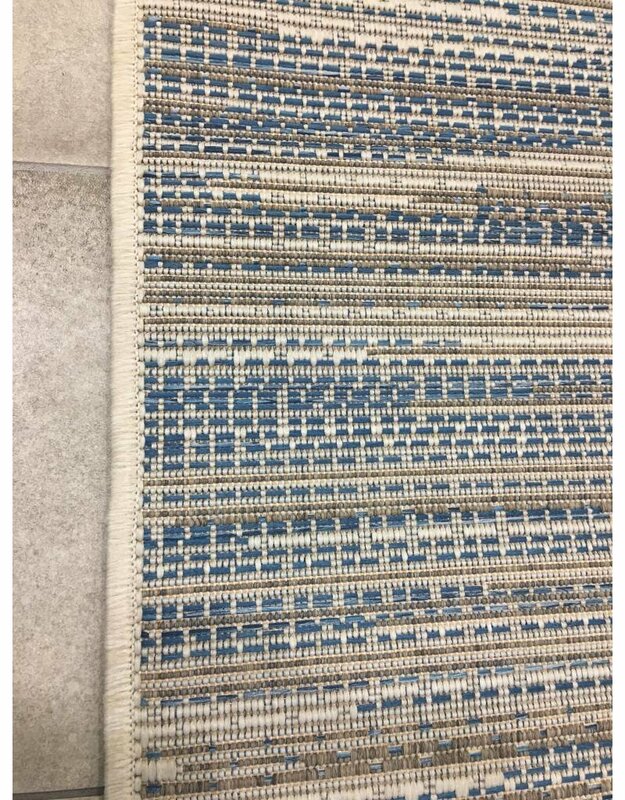 The rug features a muted color palette with varied hues of taupe, blue, and beige in an irregular striped pattern. 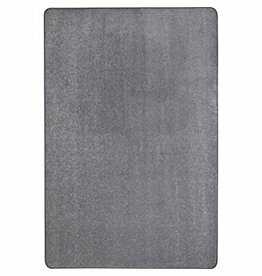 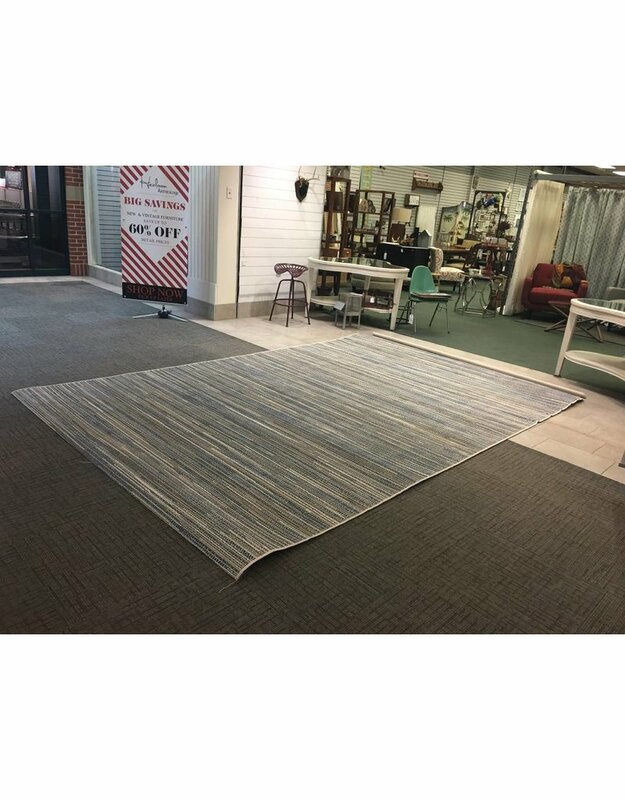 The durable rug is designed to withstand high traffic areas and is able to be vacuumed for easy cleaning.